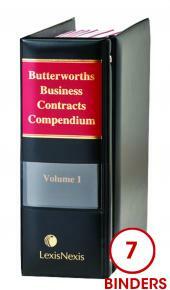 Butterworth's Business Contracts Compendium is a selection of commercial contracts relevant to commercial concerns. Subscription to the printed product includes a free online version as well as a free mobile version. Updates for 12 months (print and mobile) are included in the price. 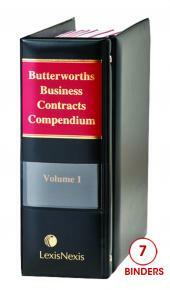 Drafting contracts is time consuming and requires one be completely up to date with the law. BCC is a time saving tool for the busy legal advisor in that it provides accurate and up-to-date sample contracts written by experts in each field. The online version means contracts and forms can simply be downloaded and amended to suit the requirements that the circumstances demand. 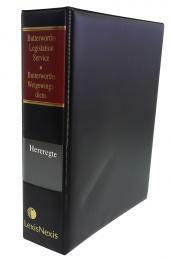 Where appropriate, forms are reproduced from the relevant Act or regulation and checklists are included.